The 2014/15 NBA campaign may have come to an end, but that hasn’t stopped Nike Basketball from crafting new colorways of LeBron’s signature low-top. 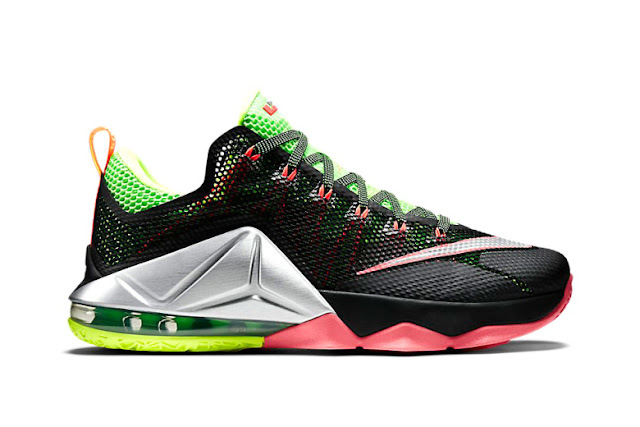 Here, the LeBron 12 Low takes cues from King James’ signature Sprite mix — which pairs the lemon-lime soda with a twist of natural cherry and orange flavors — to create the “Remix.” Opting for a predominately black upper, the kicks incorporate the bottle’s Green Strike, Hot Lava and metallic silver aesthetic throughout, throwing in a dash of Volt along the outsole and lining for good measure. Look for the “Remix” edition of the LeBron 12 Low to hit Nike Basketball spots July 2 for $170 USD.